Why does this matter so much? Traditionally websites have been designed with desktop computers in mind. 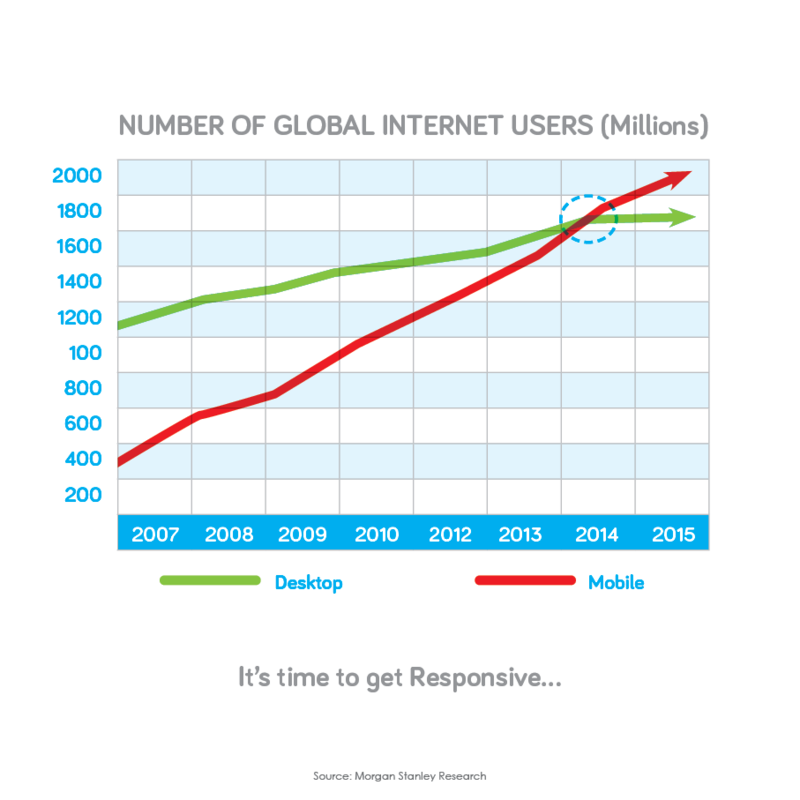 The latest data shows that we are now past the tipping point between mobile digital media time compared to time on desktops (51% in the US currently). This number is set to increase dramatically in the future. If your site is not fully responsive, the viewing experience from a mobile phone can be a frustrating one, possibly causing the viewer to opt for the more user-friendly interface of a competitors site. Thus it is critical that your website not only loads swiftly and has all the relevant info in an easy to find format, but is also responsive on any and all devices – particularly mobile phones. If your answer is “No” to the question of whether your site is responsive or not, perhaps it’s time for an update – you don’t want to lose potential customers who can’t be bothered viewing websites that aren’t easy to use on their smartphones.